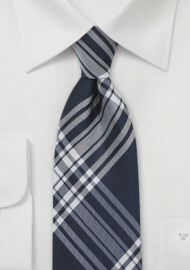 From the menswear designers at Parsley, we bring you a necktie that's sure to dress up your daily office wardrobe. 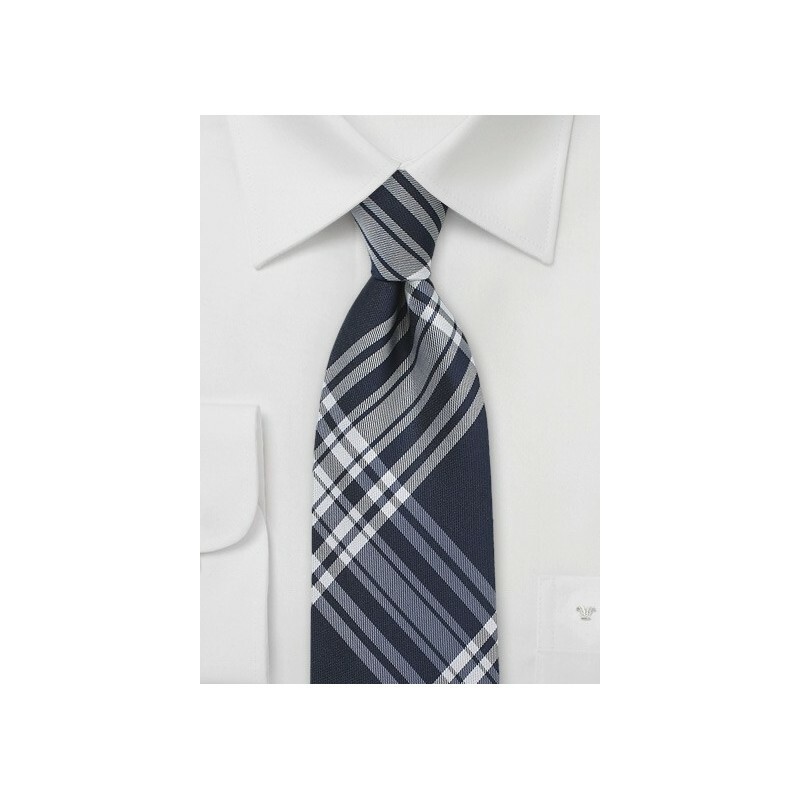 A shade of midnight navy features a white plaid pattern, resulting in a necktie that matches almost any outfit and never goes out of style. This piece is hand crafted from 100% premium silk for a smooth and luxurious texture, and includes a sturdy wool inlay for a perfect drape.